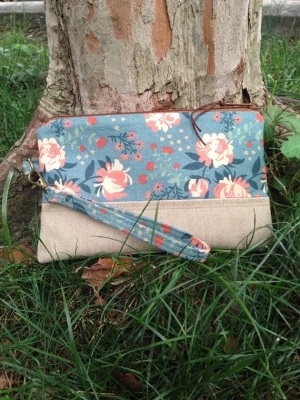 This clutch is ideal for organizing and carrying necessities. It’s perfect for organizing smaller items and placing in a larger bag, or for a quick trip to the store with just the essentials. 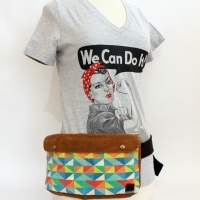 The main body is constructed out of organic cotton and denim. 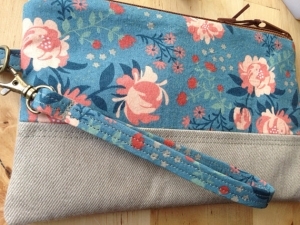 The wristlet strap is removable for added versatility. 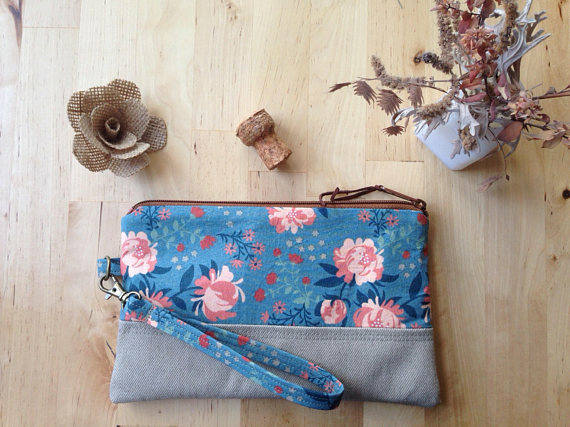 The front exterior features floral organic cotton and denim, and the back a solid denim. 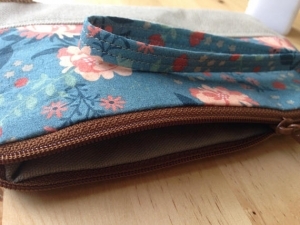 The interior of the bag is fully lined and contains one slip pocket perfect for small items like change, cash or a debit card. 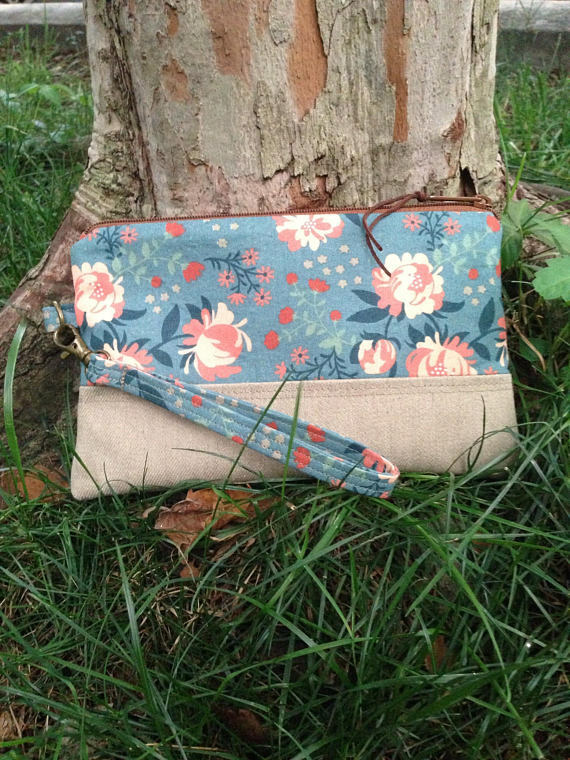 6″ High, 9″ Wide and 1/4 inch depth. 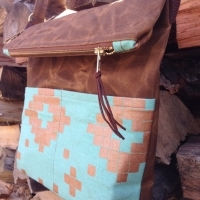 The interior slip pocket is approximately 3″ High by 4.5″ Wide. The removable wrist strap has a generous 6″ opening. 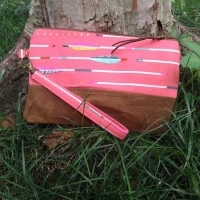 Ameraucana Handmade "Pink Arrow Clutch"
Ameraucana Handmade "Waxed Canvas Foldover Crossbody Bag"